Free agent Manny Machado doesn't appear any closer to accepting a major league deal these days, but we may be starting to get a better idea of the offers that are on the table - at least when it comes to the White Sox. 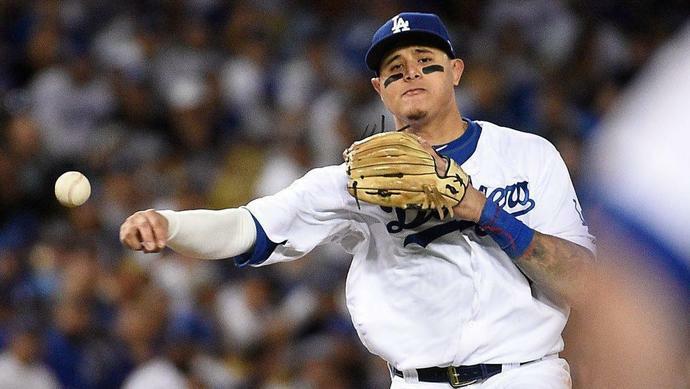 Héctor Gómez of Z Digital reports that the club proposed an eight-year, $250 million offer to Machado, a full $75 million above the previously (and erroneously) reported seven-year, $175 million deal that was said to be in play. Naturally, neither Machado's agent nor the White Sox have confirmed the report. There's no clear indication that Machado has been leaning toward any particular team of late, though the White Sox, Phillies, and Padres are thought to be among his primary suitors. On Friday, analyst and former general manager Jim Duquette suggested that the Yankees had also extended a seven- to eight-year, $220 million deal to the 26-year-old infielder. He added that "a lot of teams" were in the same range, making the Yankees' offer somewhat underwhelming, but later walked back all of his statements as pure speculation. While stands to reason that any organization truly invested in bringing the All-Star on board would be mulling over a contract of similar length and price, no one seems to be closing in on the 10-year, $300+ million figure Machado's camp is reportedly seeking, either. As for the lack of movement in the free agent market, The Athletic's Ken Rosenthal spoke to several reasons behind the long wait for Machado and fellow free agent Bryce Harper to find a landing spot this winter. He maintained that both players are anticipating future offers north of $300 million, which creates something of a conundrum for teams who, like the White Sox, are unwilling to jump into a fruitless bidding war. Rosenthal also pointed out that while the Padres have been the most transparent in their pursuit of Machado so far, that kind of strategy may work against them if the Phillies or White Sox (or an as-yet undisclosed mystery team) decide to up the ante in the weeks to come.